I love San Antonio, TX, and I LOVE the Spurs! I mean, they're the best team in the NBA, ever! Am I right?! Well, being that San Antonio houses amazingly talented artists, it was only natural that muralists of the artist collective Los Otros, Shek Vega and Nik Soupe took on the task of rendering this Social Media Interactive Mural. 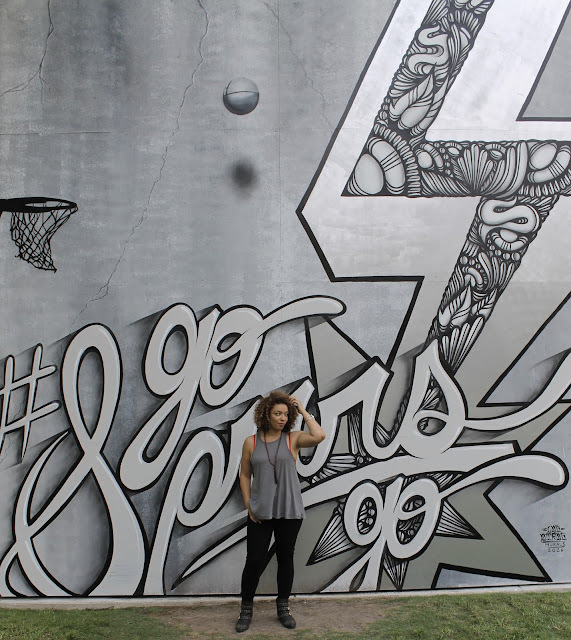 It's currently located at Travis Park, before it ships out to be displayed at the AT&T Center in San Antonio, home of the Spurs, I went with my Style Lush TV boss, Burgundy Woods, to check it out the day the mural was unveiled. It was so much fun, jumping up and down to get the perfect jumpshot where it looked like I was making the shot. If you live in SA or are just visiting, be sure to stop by Travis Park, downtown within the next couple of weeks and take the shot! You're gonna love it! 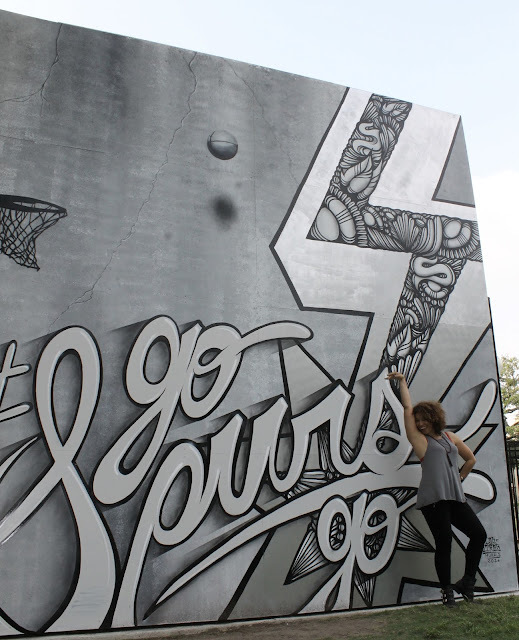 Me encanta San Antonio, TX, y me encantan los Spurs! O sea, son el mejor equipo de la historia de la NBA! No creen?! Bueno, y siendo que en San Antonio hay muchísimo talento artístico, era sólo cuestión de tiempo en lo que muralistas del colectivo artístico, Los Otros, Shek Vega y Nik Soupe se les encomendaran la tarea de diseñar y pintar este Mural Interactivo. Localizado en Travis Park, antes de que lo muevan al AT&T Center, el hogar del equipo, fui con mi jefa de Style Lush TV, Burgundy Woods, a ver el mural el dí de la inauguración. Fue super divertido ponerme a brincar hasta lograr la pose perfecta en donde parecía que yo estaba encestando la bola. Si vives en San Antonio, o pasas de visita, asegúrense de pasar por Travis Park, en downtown, dentro de las próximas semanas y toma tu foto! Les va a encantar! Ha! Thanks! Yeah, this city really loves their team. It was fun! This is such a cool wall! 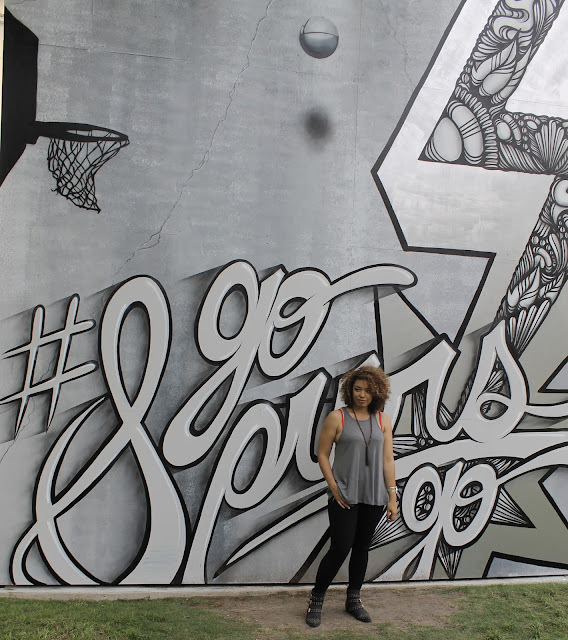 I have a friend that is obsessed with the Spurs! 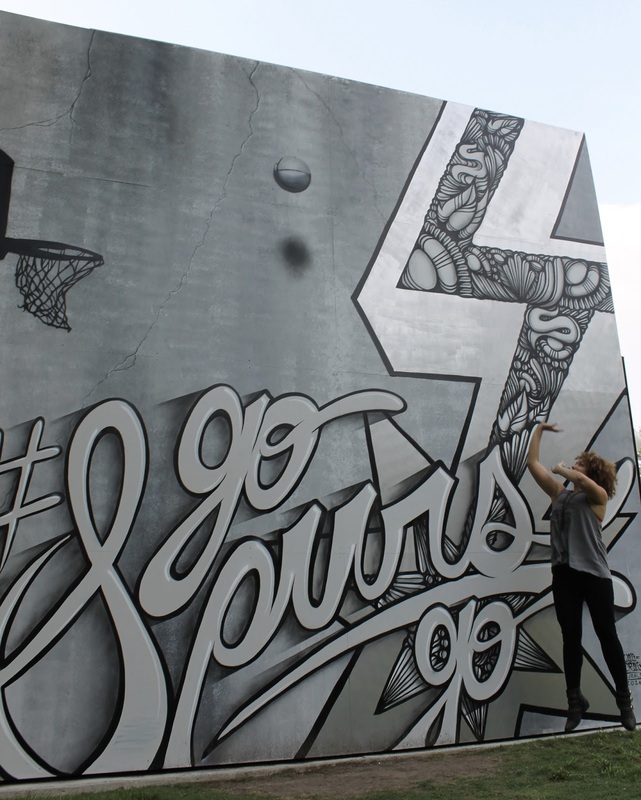 This city is crazy about the Spurs. Win, Lose or Tie...Spurs for Life! Ha ha! 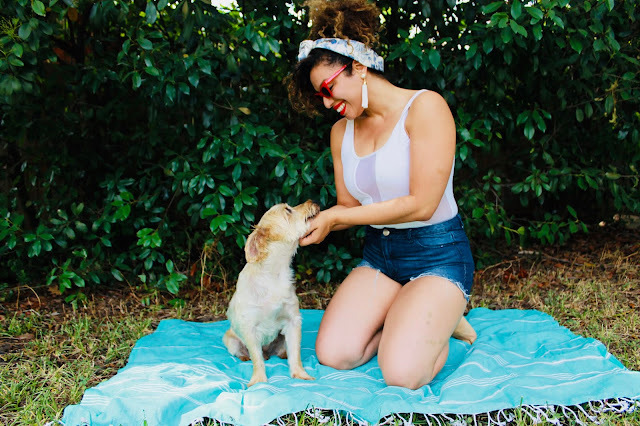 Thanks for stopping by, love!